Get feeling foodie on a Friday! #FridayNightFoodie is back! 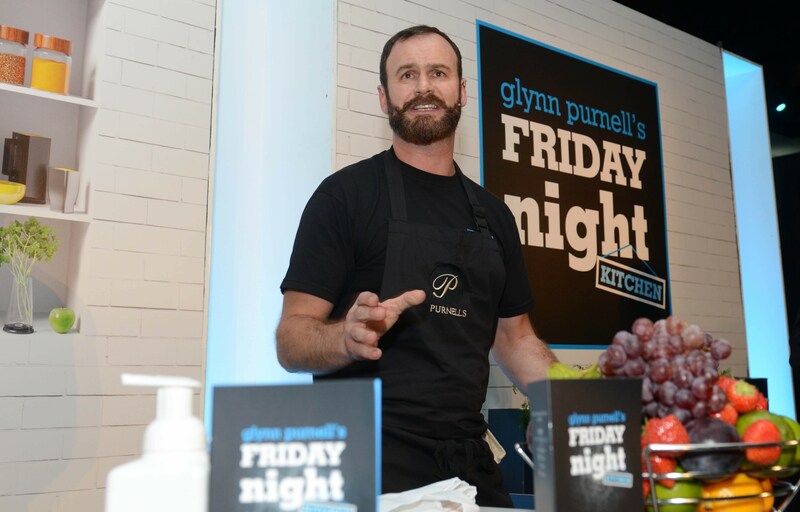 In the run up to Michelin starred maestro Glynn Purnell’s Friday Night Kitchen on October 7th at Villa Park’s Holte Suite, Twitter followers are being given the chance to win a pair of tickets! *Just so you know, they may use Tweets, photos and anything else sent in throughout the competition as part of the cookbook – it can be a recipe from an existing book, just let them know when you send it in! They’d love for you to join their quest this year to find their new #FridayNightFoodie, last year had over 100 entries which they’d love to beat! If cooking isn’t your thing, tickets are now on sale for the fun-filled, live show-cooking event that over the last two years has gained the reputation of being the best Friday night out in the Birmingham social calendar. The ‘Yummy Brummie’ will be joined by X-Factor winner Sam Bailey. Award-winning presenter Suzanne Virdee will host the evening alongside Heart West Midlands presenter Ed James and BBC Coventry & Warwickshire presenter Phil Upton. The night will include on stage guests discussing and cooking their favorite dishes with Glynn before the audience enjoy the dishes themselves. The one and only raffle prize on the night will give guests the chance to win a meal cooked at home by Glynn and his Purnell’s team for up to six people a money can’t buy experience. Glynn and his team will turn up, cook Sunday lunch and clean the kitchen up before they leave! To round off the evening, guests will be treated to live music from The Subterraneans, the resident band from The Jamhouse, and Heart FM DJ Russ Morris until 2am. You can book now at gpfnk.co.uk/shop/. Tickets cost £135 per person and VIP tickets £155. Tables of ten can be secured for £1350 and VIP tables for £1550.